I arrived in Italy on October 31st – Halloween. It seems the kids in Italy are adopting this holiday, though it is still a very new tradition. I was much more interested in the next day, All Saints Day, a holiday in Italy and the height of the harvest. 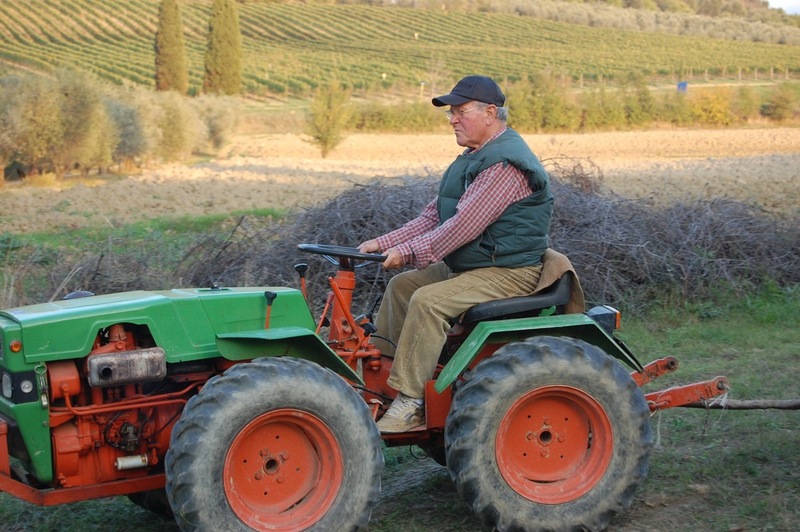 The Saletti family has a farm in Tuscany, near Montalcino, which is planted mostly in olive trees (1500 at last count and more to be added). 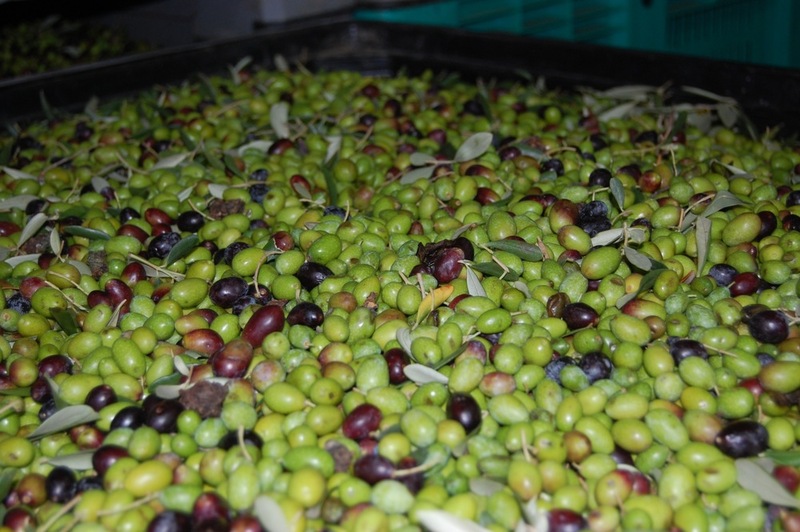 They harvest the olives and produce olive oil for friends and family, using organic methods. The oil is unfiltered and retains a spicy, robust flavor profile. I wish I could convey all the sights, sounds, flavors, and smells of this season. So much is produced and consumed locally; the only way to appreciate it is to be there. This is the season for chestnuts; made into bread, cakes, cookies, and pasta. Wild boar is hunted in the fall and widely available. Restaurants turn it into wonderful ragu or serve it roasted with herbs. Porcini mushrooms fill local markets. 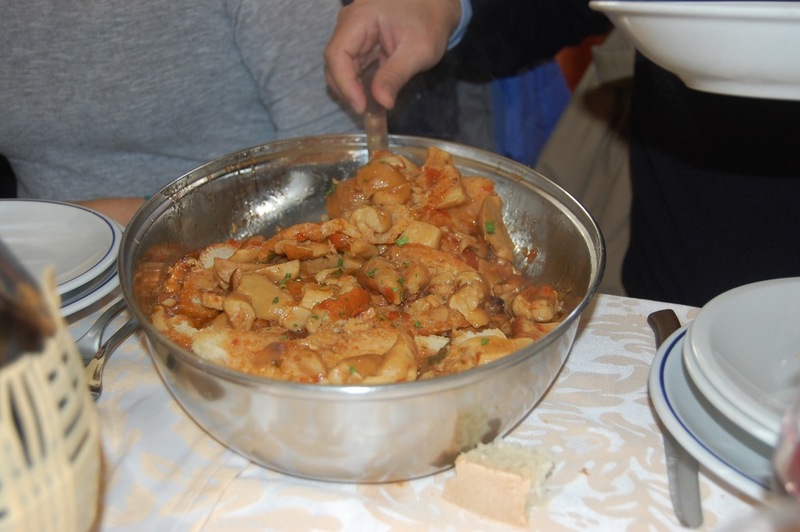 Zuppa Porcini, a local dish was perhaps my favorite, layers of soaked bread and mushrooms. White truffles are also now in season, shaved over pasta. I keep a restaurant journal, to find my way back to these hidden gems, seemingly frequented only by locals – at least during this season.